Team conflict prevents teams from effectively working to achieve organizational goals. Failure to work as a cohesive unit can lead to project delays, animosity among team members, and decreased productivity as well as damage an organization’s well-being. 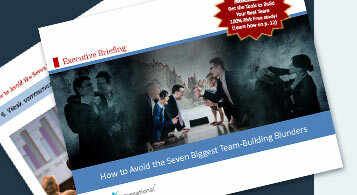 Learn to eliminate team conflict. Profiles Team Analysis helps team leaders coach members through conflicts and use them to the team’s advantage. The analysis of team dynamics provides information and resources for developing, managing, and enhancing all types of teams.